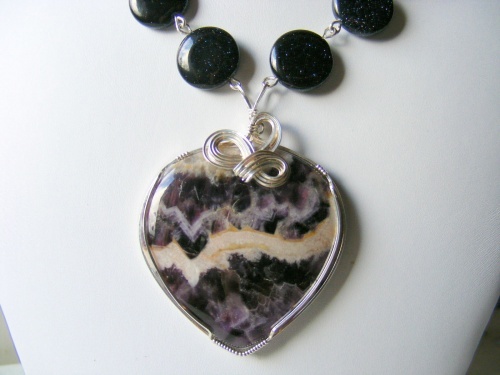 If you love amethyst, this is the necklace for you with the heart shaped amethyst focal with straie that make it look like a landscape, this piece is truly one of a kind. Beads are blue goldstone with lovely sparkle colors accenting the stones. Measures 21" long.